Remember, when you're on fire, exclaim it as loudly and clearly as possible, so everyone can confirm that you actually are on fire. Letting people know if you're a mole or not is purely optional. Heavily inspired by Yakety Sax, this five hour long cutscene was cut from Earthbound's initial release. 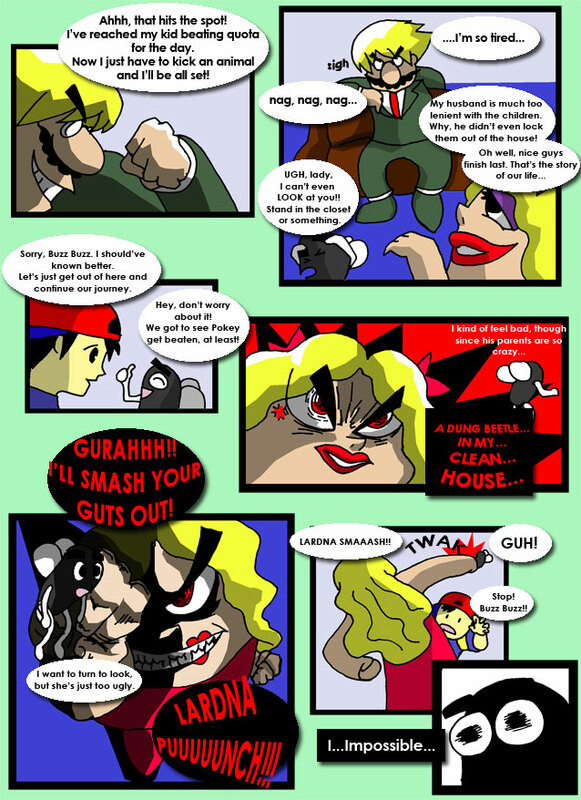 Fortunately I have the original copy of the game, so I am bringing the truth to you in comic form. Please believe me, I am a trustworthy man. Ness' hard work finally pays off and he's rewarded with...a diamond? What a ripoff!